Do have a pet health care need? Please contact us at (601) 856-3991. Madison Ridgeland Animal Hospital is a veterinary and boarding facility located in Ridgeland, MS. We have been practicing veterinary medicine since 1982. The warm and caring staff at MRAH seek to work collaboratively with our clients and treat you and your pet as an individual to achieve the best possible outcome. We are committed to promoting responsible pet ownership, preventative health care, and health-related educational opportunities for our clients. We strive to give our clients and their pets the best possible care at for a variety of budgets. 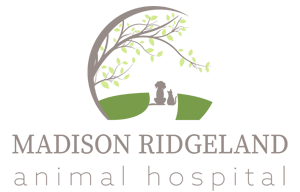 Madison Ridgeland Animal Hospital is fully committed to providing quality veterinary medical care to our patients and their families in an atmosphere of care and concern. We are a small practice focused on giving our clients and their pets individual attention. Madison Ridgeland Animal Hospital is pleased to provide a wide variety of veterinary services for pets in the Ridgeland area. These services include boarding, grooming, medicine, surgery, dentistry and preventive care. Angela has been the 'friendly face' of MRAH for 17 years now. We like to think of her as 'the angel at the front desk.' She truly loves and cares for our clients and their pets. If you need something, she is your go-to lady. Rhonda has worked for Madison Ridgeland Animal Hospital for 8 years, and a passionate groomer for 10 years. She is married with 2 children, 2 dogs, a cat, and many fish. She enjoys mud riding and gardening in her spare time. "We have been taking both of our dogs here for almost two years and we absolutely love it! They are always so kind to us and our dogs have no fear or anxiety at all when we take them. Their prices are very good, but their service is even better. Even though we moved out of town, we still drive the 20 minutes it takes to get our pups to MRAH!" "For 15 years my dogs are excited when we pull up. Need I say more?" "We have enjoyed MRAH for over 10 years and they are always so helpful!" "Dr. Garrison, Felicia and the staff are helpful and competent, and they always remember my dog. We had a follow up appointment and they didn't charge me anything."